The history of the Reformed Presbyterian Church in Randolph County goes back to the year 1818. To the Rev. 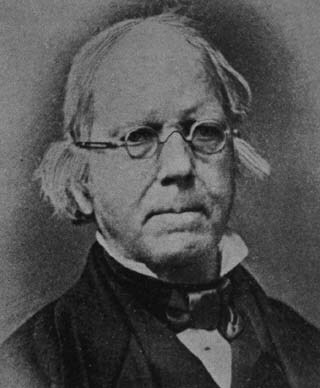 Samuel Wylie belongs the credit of the planting of the church. He was born in County Antrim, Ireland, February 19, 1790; came to the United States in 1807; entered the University of Pennsylvania, where he graduated in the class of 1811; prepared for the ministry in the Theological Seminary at Philadelphia, under the care of his uncle, Dr. S.B. Wylie, and was licensed to preach in May, 1815, at Philadelphia, by the Middle Presbytery. In the summer of 1817 he visited various places in the West, passing through Illinois and continuing his travels as far as Boonville, Missouri. On his return he again passed through Illinois and spent the winter in supplying the vacancies in Tennessee and South Carolina. At the meeting of the Synod in Pittsburgh in the latter part of May, 1818, he reported his travels and the prospect for church extension in the West. Synod ordered the Middle Presbytery to take him on trial for ordination, and he was accordingly ordained in Pittsburgh, PA, on the 2nd of June, 1818, and sent as a missionary to Southern Illinois. Mr. Wylie reached Kaskaskia the last day of July following and immediately entered upon his work. PCA Historical Center: Bethel’s Early History, by Rev. W.J. Smiley. Theophilus Adam Wylie was born October 8, 1810, in Philadelphia, Pa. He was the son of Rev. Samuel Brown Wylie, D.D., and Margaret Watson Wylie. He received his early education at the English Academy of Rev. Dr. S.W. Crawford and commenced his classical education at the school of Wylie and JPEngles1793 Engles, Philadelphia…. In the same year , after some correspondence with the Board of Trustees of Indiana College and its president, Dr. Andrew Wylie, he was offered a professorship in Indiana University, and at his own request was elected pro tem professor of natural philosophy and chemistry. In the spring of 1837 he left Philadelphia and after ten days journey reached the University in April and commenced work at the opening of the second term, May 1….. Professor T.A. Wylie married Rebecca Dennis, of Germantown, now in the city of Philadelphia, Pa, November 5, 1838…. On the death of Andrew Wylie on November 11, 1851, Daniel Read and Theophilus Wylie carried on the duties of the president until a new president, Alfred Ryors, was appointed, June 3, 1852….. Source: Excerpt from Myers, Burton D. Officers of Indiana University, 1820-1950. p.486. Andrew Wylie – Theophilus Wylie was a younger cousin of Andrew Wylie (same grandfather, different grandmothers). Source: WYLIE, THEOPHILUS A. Diaries of Theophilus A. Wylie, 1832-92 . Transcribed by Elizabeth M. Greene. Bloomington, IN: Department of Chemistry, Indiana University, 1987. Andrew Wylie, clergyman and educator, was born April 12, 1789 in Washington, Pennsylvania. He was the son of Adam Wylie, a native of County Antrim, in the north of Ireland, who emigrated to this country about the year 1776, and settled in Fayette County, PA. He graduated from Jefferson College, Canonsburg, Pennsylvania, in 1810, was tutor in the college for a year, studied theology, and was licensed to preach by the presbytery of Ohio on October 21, 1812. He was installed as pastor at Miller’s Run on June 23, 1813. He was president of Jefferson College in 1812-1816, and of Washington College in 1817-1828. He was elected president of Indiana College and removed to Bloomington, Indiana and took charge of the institution in 1829. His death took place November 11, 1851. Myers, Burton D. Officers of Indiana University, 1820-1950. p. 447. JAMES W WILEY, a good businessman, a successful coke operator of Fayette county, is a son of Sampson Wiley and Sarah Todd Wiley and was born in Sewickley township, Westmoreland county, Penna, October 17, 1845. Sampson Wiley Sr, grandfather, was a native of County Tyrone, Ireland, where he owned a farm of forty five acres whose title made it his while “grass grew and water ran…” He emigrated to Westmoreland county in 1790 where he died in 1825 at fifty six years of age. He married Miss Jane McGrew, a member of the old and well respected McGrew family of Westmoreland county. Sampson Wiley, father, was born in Westmoreland county in 1805, died January 3, 1888, was a farmer until 1840 when he engaged in merchandising and continued successfully in the merchandising business till 1870 when he retired from active life. He was a democrat, was several times elected to local offices in a strong republican township, but always declined to accept them. He married Miss Jane Todd, daughter of Henry Todd, a native of Ireland, and a farmer of Westmoreland county early as 1812. they had ten children. One of their sons, Sampson M Wiley, enlisted in Company A, One Hundred and Fifty fifth Pennsylvania Volunteers, was in the battle of Gettysburg, and died soon afterward with typhoid fever. Mrs Wiley was born in 1809 and lives at Everson. James W Wiley was reared in Westmoreland county, attended the common schools until twenty years of age when he engaged as bookkeeper of the Youghiogheny Coal Company and remained with them till 1873. Three years of this time he served as United States gauger at their distillery. From 1873 to 1877 he was engaged in general mercantile business in the firm of S Wiley & Son. In 1877 he became a member of the mercantile firm of Wiley & Sherrick and also engaged in the coke business. In 1881 Mr Wiley withdrew from the mercantile firm, buying out Mr Sherrick’s interest in the coke works and forming a partnership with J R Staufer in the same business. The firm Staufer & Wiley are successfully engaged in the coke business. In 1868 he was married to Miss Jennie Gallagher, daughter of William Gallagher of Latrobe, Penna. They have seven children: Sadie T Wiley; Carrie M Wiley; Margaret O Wiley; Minnie Wiley; Charles S Wiley; Sampson M Wiley and James W Wiley Jr.
James W Wiley is a democrat and has served continuously as a justice of the peace for ten years. He is a member of the Masonic Order, a stockholder in several banks, and is a prominent member of the Methodist Episcopal church. He is a well known and intelligent citizen of Upper Tyrone and has been remarkably successful in all his business ventures. Compiled and Published by John M. Gresham & Co.